Having delivered their Vacation LP late last year, Seaway are now set to take a trip to Canada for a run of live dates this summer. The band's trek through Canada will see them travel from coast-to-coast, with a few special guests joining up along the way. Western Canadian dates will feature Living with Lions, while dates on the eastern half of the country will feature Like Pacific. 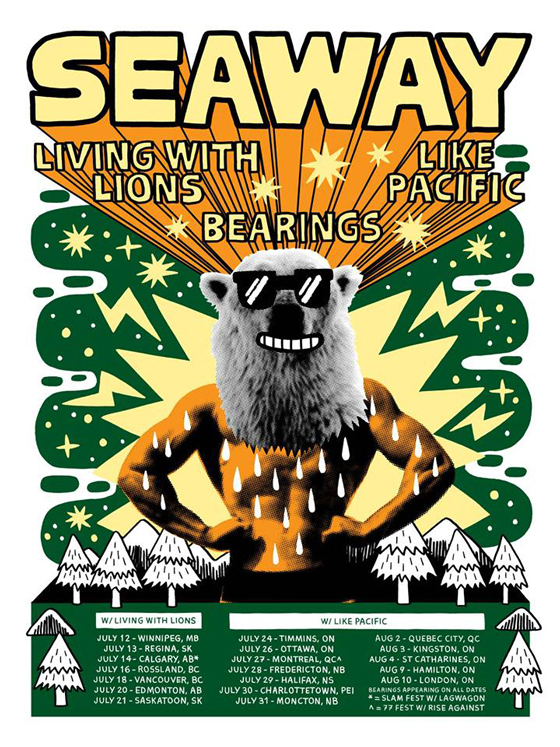 Bearings will join Seaway on all dates. Tickets for all shows are currently on sale now through Seaways' official website. You can find the band's complete itinerary below.